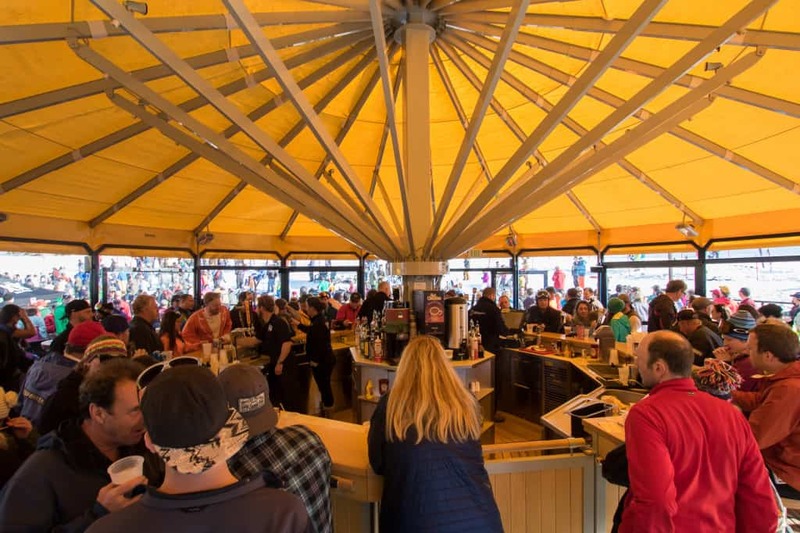 KILLINGTON—The umbrella bars at the base of Superstar at Killington Resort are a hot spot for spring skiers and riders. This past weekend the venue hosted the Dazed and Defrosted event Saturday, April 22, which includee on-snow demos, a photo booth and live music. Since the event shared the day with Earth Day, it was also a chance for the resort and area organizations to showcase support for environmental protection, helping to build a healthy, sustainable environment and protect the Earth for future generations, the resort stated. Live music throughout the day contributed to the spring party atmosphere featuring the Brant Taylor Band, DJ Dave Hoffenberg; Roots of Creation, Steak Your Funk and Max Creek. This coming weekend the resort will host the Killington Triathlon (ski/ride, bike and run) Saturday, April 29, and the annual May Day Slalom, Monday, May 1.